​to getting your project completed to job specifications. a name associated with quality for rebar cage alignment and concrete accessories. 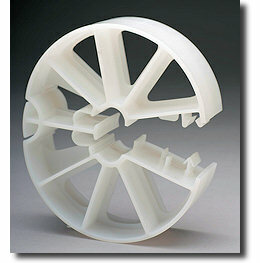 Quick-Lock Pier WHEELS are designed for ease of installation and the strength to withstand the job at hand. Made of durable, non-corrosive plastic (above) or 7,500 psi high strength grout (pictured below), Choose the rebar cage BOOT that best fits your needs. The answer to uniform reinforcement steel spacing requirements in single-bar foundation/tieback elements. To achieve proper design strength in any drilled and grouted/concreted hole, the tendon/rebar or anchor material must be centered in the shaft to allow minimum coverage throughout the length of the element. 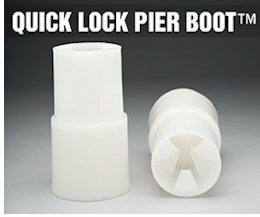 Quick-Lock™ Unibar™ Centralizers are made of durable, noncorrosive plastic. They are also perfect for a variety of other applications where concrete cover must be maintained. J. P. Self and Associates will provide your PIERESEARCH products at a price that will suffice!